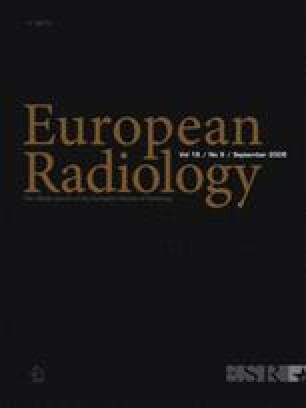 The purpose of this study was to investigate the effect of low kilovoltage dual-source computed tomography coronary angiography (CTCA) on qualitative and quantitative image quality parameters and radiation dose. Dual-source CTCA with retrospective ECG gating was performed in 80 consecutive patients of normal weight. Forty were examined with a standard protocol (120 kV/330mAs), 20 were examined at 100 kV/330mAs, and 20 at 100 kV/220mAs. Two blinded observers independently assessed image quality of each coronary segment and measured the image parameters noise, attenuation, and contrast-to-noise ratio (CNR). The effective radiation dose was calculated using CT dose volume index and the dose-length product. Diagnostic image quality was obtained in 99% of all coronary segments (1,127/1,140) without significant differences among the protocols. Image noise, attenuation, and CNR were significantly higher for 100 kV/330mAs (26 ± 3 HU, 549 ± 62 HU, 25.5 ± 3.2; each P < 0.01) and 100 kV/220mAs (27 ± 2 HU, 560 ± 43 HU, 25.0 ± 2.2; each P < 0.01) when compared to the 120-kV protocol (21 ± 2 HU, 317 ± 28 HU, 20.6 ± 1.7). There was no significant difference between the two 100-kV protocols. Estimated effective radiation dose of the 120-kV protocol (8.9 ± 1.2 mSv) was significantly higher than the 100 kV/330mAs (6.7 ± 0.8 mSv, P < 0.01) or 100 kV/220mAs (4.4 ± 0.6 mSv, P < 0.001) protocols. Dual-source CTCA with 100 kV is feasible in patients of normal weight, results in a diagnostic image quality with a higher CNR, and at the same time significantly reduces the radiation dose. This research has been supported by the National Center of Competence in Research, Computer Aided and Image Guided Medical Interventions of the Swiss National Science Foundation.